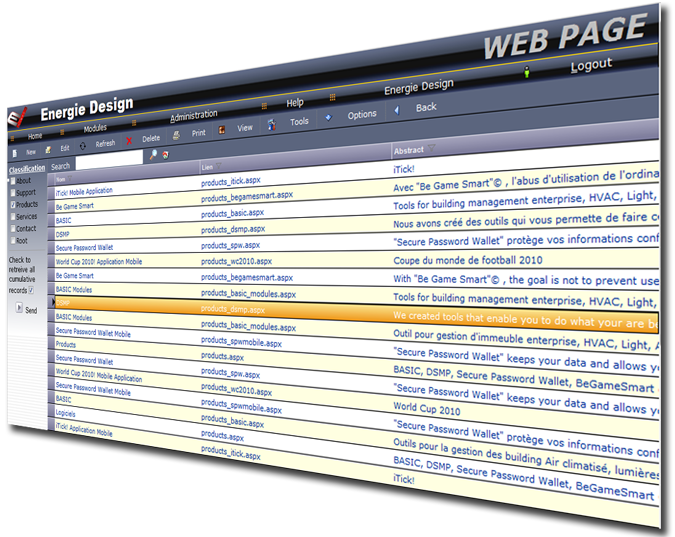 Since 2005, Energie Design is deeply involve in website content management. The developed tool DSMP (Data Stream Maintenance Portal) has been implemented in few countries and used by many enterprise. to better manage their website as well as their inventory. The concept behind the DSMP is actualy very simple. We created tools that enable you to do what your are better at: explaining to your audience what you are doing. The set of module that DSMP offers let you build your site at your speed for your needs.